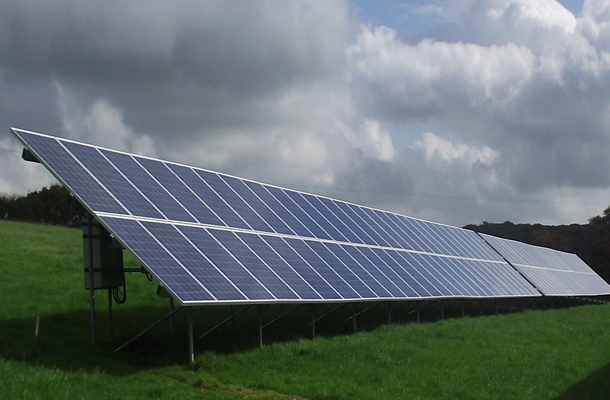 A 50 kWp solar PV project in Bodmin built on krinner ground screws has won an award for the ’The Best Large Scale Renewable Energy Scheme’ in Cornwall at the Cornwall Sustainability Awards earlier this month. The installation was completed in August 2011, despite challenging ground conditions, with 88 krinner ground screws used as the foundation for the scheme. Author and explorer Robin Hanbury-Tenison’s Cabilla Manor has generated around 45,000 kWh worth of energy in the first year alone. The 10th awards event was held in Falmouth, with over 200 guests attending to celebrate the achievements of businesses in the region. The Cornwall Sustainability Awards are organised by the Environment Agency and Cornwall Council and aim to encourage, reward and gain recognition for some of the excellent work businesses in Cornwall and the Isles of Scilly are doing to improve their sustainability.